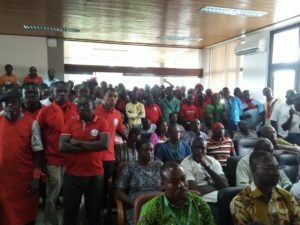 Local branch of the University Teachers Association of Ghana (UTAG) as well as Labour unions at the Kwame Nkrumah University of Science and Technology (KNUST) are demanding for respect by government to accept its members presented to represent them on the new governing board and council of the university. 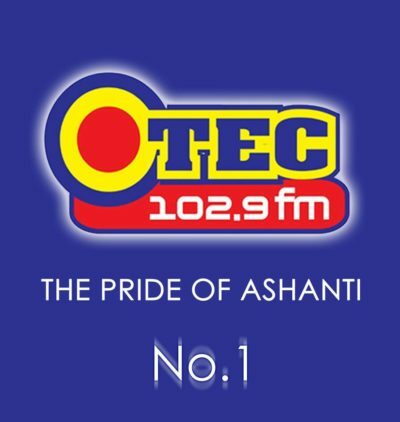 According to them, Representatives of UTAG and other sister unions/Associations have been duly elected through a laid down process to represent their respective constituencies on for a defined term just as Ghanaians vote a government into power for a fixed term and wait patiently to vote it out of office at the end of the term should the electorate find it incompetent, so also do the unions/Associations regarding their Representatives to council as contained in Provision (g) of KNUST Act 80,7(1). Addressing a press briefing at the great Hall of the university, spokesperson for the UTAG KNUST chapter Dr. Addei Mensah stated that Government had no business meddling in the representation if UTAG or any other union/association on the university council which government is refusing to understand and appreciate and, consequently creating an erroneous impression that it can pick and choose who can represent UTAG or any of the unions on the council. 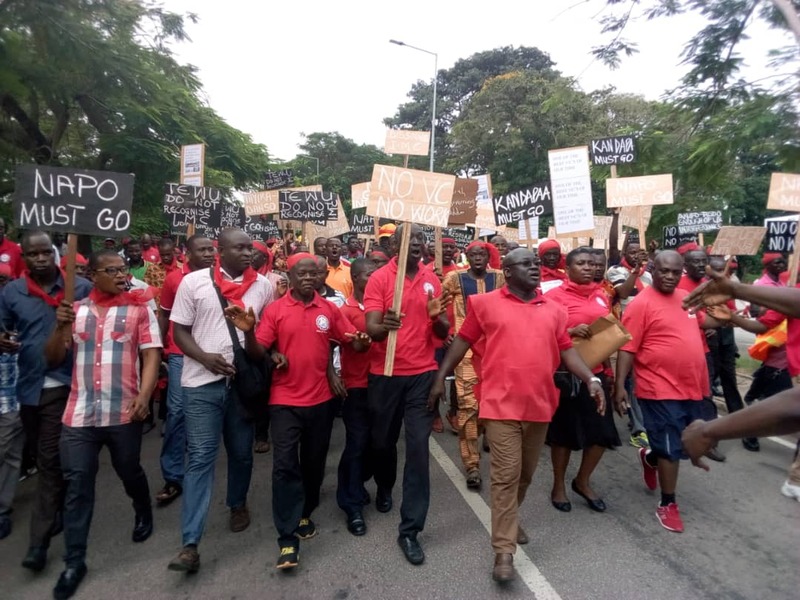 The Unions have described the government’s action as unlawful, adding that it sets a dangerous precedent and will not augur well for the future of the University and tertiary institutions in Ghana. 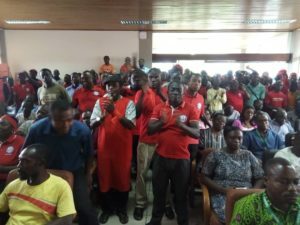 The unions made this accusation at a press conference held by the University Teachers Association of Ghana (UTAG) together with other unions including the Teachers and Education Workers Union, Ghana Association of University Administrators, alumni of KNUST, and some professional and non-professorial representatives. The unions said the government’s action is causing a delay in the reopening of KNUST, which has been closed down following a violent student protest last month. 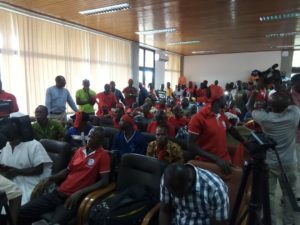 There is currently a standoff between the government and the labour unions over the selection of representatives to he KNUST council. The constitution of a new council for the University was scheduled for last Friday, November 2, 2018, but could not be done after the government refused to accept the representatives of the unions who were on the dissolved council. 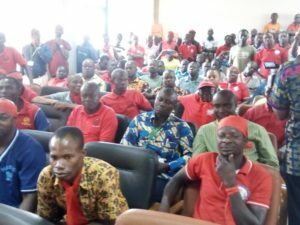 But the unions insist that the government cannot dictate to them which member to present as a representative on the council. “We want to say that government needs to clearly respect that democratic right which is enshrined in the acts establishing this very university. The international community is watching. Donor agencies are watching. International students and their parents are watching to see what will happen. If the government is committed to making sure that this university gets back on track then it must simply respect the very democratic choices of the respective unions have made. 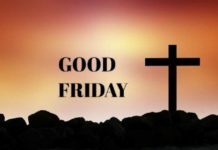 Once the government recognizes that, we all will come together to make sure that whatever is lost is restored, even if we have to work overnight,” Dr Otechere Addai-Mensah said. 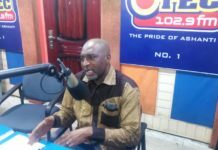 He further charged major stakeholders in the country to speak up against the government’s attempts ensure that academic work quickly resumes at KNUST. 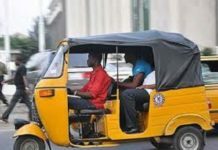 This is the time we expect peace council to come out and speak, this is the time we expect the Catholic Bishops Conference speak, the Chief Imam and all other major stakeholders in this country should watch what is unfolding and speak about it, because if we don’t we don’t know what will happen, he said. 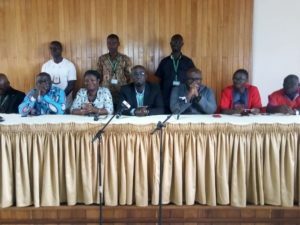 Meanwhile, there are fears that students of KNUST who are currently on a forced vacation due to the challenges on the school’s campus may stay longer at home beyond the Friday 9th November 2018 deadline set by the government as a result of the stand-off between the government and the unions. The Chancellor of KNUST and Asantehene, Otumfuo Osei Tutu II is yet to make any public statement about the impasse.